Yesterday at noon, having hiked from different campsites, the Hickory and Hemlock Tribes converged high on the mountain for lunch and songs at Eden Rock. There was a heavy fog that kept our eyes focused on what was directly around us, making it hard to miss where we were. 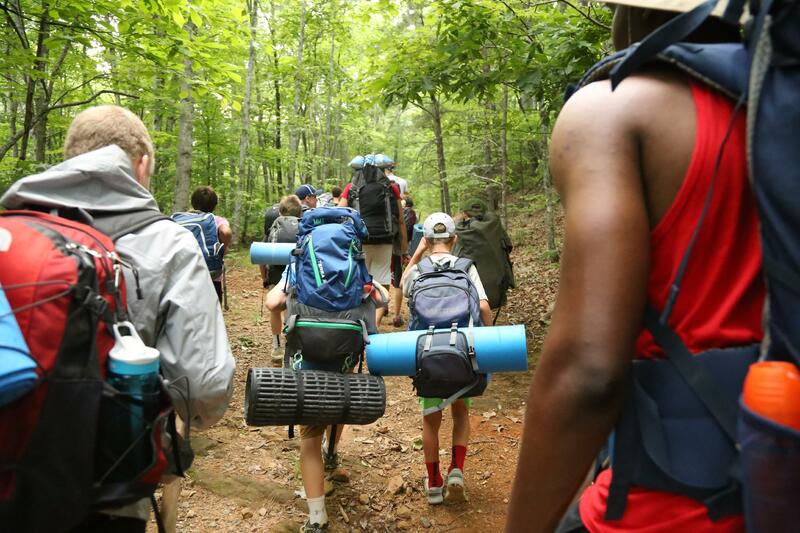 With the relatively recent coming of new leaves and flowers and the very recent arrival of 100 Deer campers and 18 counselors, it would have been nearly impossible not to recognize the life and joy that was all around. I often spend too much time on the move, forgetting that joy is here; forgetting that life happens now. For me, being around these wonderfully rowdy ten to thirteen-year-olds puts what is important into better perspective. I watched proudly as they pushed up the last stretch, realizing that a hike of this magnitude is no small feat for anyone. Each of them had just encountered a difficult challenge and decided to persevere. This incredibly tangible lesson in persistence is one that will serve these boys well for the rest of their lives. James 1:2,3 says “Consider it pure joy, my brothers and sisters, whenever you face trials of many kinds, because you know that the testing of your faith produces perseverance.” These brave young men chose to move out of their comfort zones and say “yes” to doing a hard thing today. Doing hard things is not always fun, but it produces growth, and growth is far more valuable than comfort. This is what having joy is all about – seeing the bigger picture and looking beyond your present circumstance to see that God is good and you are where you need to be. At camp, we have the opportunity to give our unfiltered attention to the moment at hand, and treat every tough hike, rich conversation, and gooey s’more as a gift. Yesterday, as we shouted song lyrics from the top of a mountain, the life that was there was unmistakable. We are living to the fullest, and there is nowhere I’d rather be.